I love everything about this. 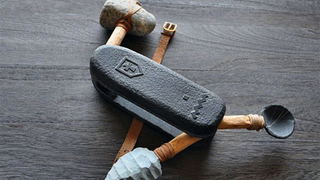 I just like to pretend that George the Neanderthal carried a Stone Aged Swiss Army Knife everywhere with him. It was so convenient! Of course, there was no Swiss or Army or Knives back then but, um, you get the idea!